The structure used in poems varies with different types of poetry. The structural elements include the line, couplet, strophe and stanza. Poets combine the use of language and a specific structure to create imaginative and expressive work. The structure used in some Poetry types are also used when considering the visual effect of a finished poem. The structure of many different types of poetry result in groups of lines on the page which enhance the poem's composition. 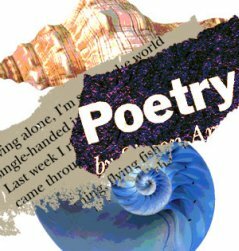 Poetry is piece of literature written by a poet in meter or verse expressing various emotions which are expressed by the use of variety of different techniques including metaphors, similes and onomatopoeia which are explained in the above definitions and different examples. The emphasis on the aesthetics of language and the use of different techniques such as repetition, meter and rhyme are what are commonly used to distinguish poetry from prose and explained in the above examples. Prose can be defined as ordinary speech or writing without any metrical structure. poems often make heavy use of imagery and word association to quickly convey emotions. Poetry in English and other modern European languages often use different rhyme schemes and these technique is most often seen in children's poems such as Nursery Rhymes making them easy to remember. Other examples of different types of poetry which use rhyme are limericks. Poets make use of sound in different types of poetry by employing different kinds of techniques called Alliteration, Assonance, Consonance and Euphony all of which are explained in the above examples of different types of poetry. A new page by the name of poetry anthology has been launched. Any famous and favourite poem you wish to add to the page could be emailed to poetrymineandyours@gmail.com. Make sure you clearly state the name of the poet separate from your name i.e name of te contributor. A video has been added at the bottom which displays, David M. Harris advice on how to write love poetry for novices. It is short, concise and useful. Professor, David M. Harris has taught English at Vanderbilt University and elsewhere. Send in your poetry at poetrymineandyours@gmail.com and I will put it up on 'Poet's forum'. Send it by the name u want to appear with the poem. Please state your age when u wrote the poem. You can also send a relevant picture with it. We have a new page available now. The ABC of Poetry. It offers advice and instructions to new poets telling them the technicalities of language and poetic trends.